At MNS, we’re more than a school, we’re a community and with MNS Cares, we keep thinking of ways to improve our surrounding. Through MNS Cares we help our children recognize that while their hands may be small, they can make a big difference in their community. 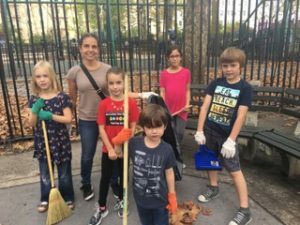 Once a quarter, look to the MNS newsletter for suggestions of ways you and your family can support the community around you. We will also be sponsoring events throughout the year that will bring our MNS community together to give back. Check out the links to some of our past activities below. Please stay tuned to This Week at MNS for all of our sponsored events throughout the year, as well as occasional links to project suggestions you can do at home with your children and their friends. We look forward to giving back to the community with you soon! Contact the committee at mnscares@mnspta.org if you would like to volunteer or if you have any questions. MNS Cares will be collecting books for the annual Cicero book drive at drop off each morning. Please donate new or gently used books that would be appropriate for pre-K – 12th graders. If you'd rather buy books that go straight to Project Cicero, shop through the WISH LIST on their website. Contact mnscares@mnspta.org with questions or to help out – volunteers are needed! Over 120 members of our MNS community came out on a gorgeous Fall day to care for one of our local parks. We weeded, spread mulch, collected trash, planted bulbs (look for the flowers next Spring!! ), and made a beautiful mural to donate to Freedom House, one of the only domestic violence shelter for women and children with disabilities. A note from P369K which received our toy donations -- "We would like to send warm greetings to the whole community of PS290. The toy drive was a huge success, so much so that each child was able to receive 2 gifts. Thank you! Our staff and children were extremely happy and excited about the donations and the Winter Wonderland. I am attaching some pictures from the event and some cards that were created as a thank you. 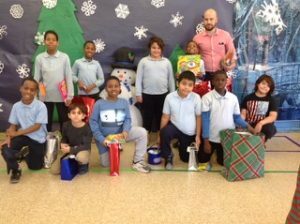 The families of PS290 showed great generosity and kindness to our kids whom without these donations would not have had such a loving experience during the holiday season. 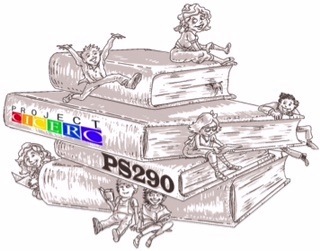 Thank you again for partnering with P369K, we look forward to working with you in the future." Once Halloween is over and the trick or treating is done, there is too much candy in your house – we have the solution. Bring your wrapped, unwanted candy to school. The candy will be donated to children living at Freedom House, a shelter for victims of domestic violence.